Scouts and Venturers traveling to Brownsea Island will meet Scouting's founder, in a sense. BSA photo. The year 1907 has been brought to life at the 2013 National Scout Jamboree, along with Lord Robert Baden-Powell and his original Boy Scouts. On Brownsea Island — the one on Goodrich Lake, not the one in Britain — all Scouts, Venturers, and visitors to the Summit can experience the very first Scouting activities from more than a century ago. Back on the original Brownsea Island, Baden-Powell started an experiment to teach self-reliance, observation and leadership skills to young men. That experiment eventually became the most successful youth program in the world. 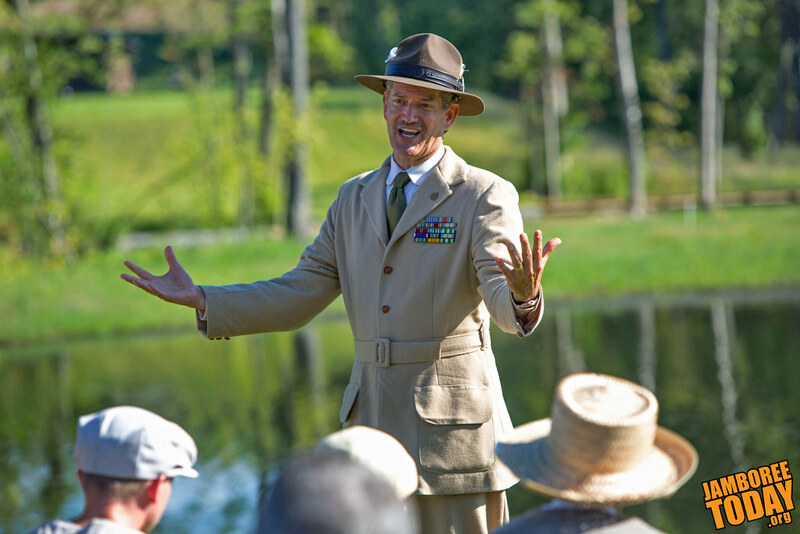 "On our Brownsea Island," says Senior Baden-Powell actor Bill Moss, "we have historically accurate reenactments and as many of the activities that the first Boy Scouts took part in." Modern jamboree staff members recreate this historic experience with accurate clothing and scenery. Visitors to the 2013 version of Brownsea Island will participate in interactive activities led by historical characters, including whale hunt, tug-of-war, basket ball (as originally played), sharpshooter, flinging the squailer and Kim’s game. 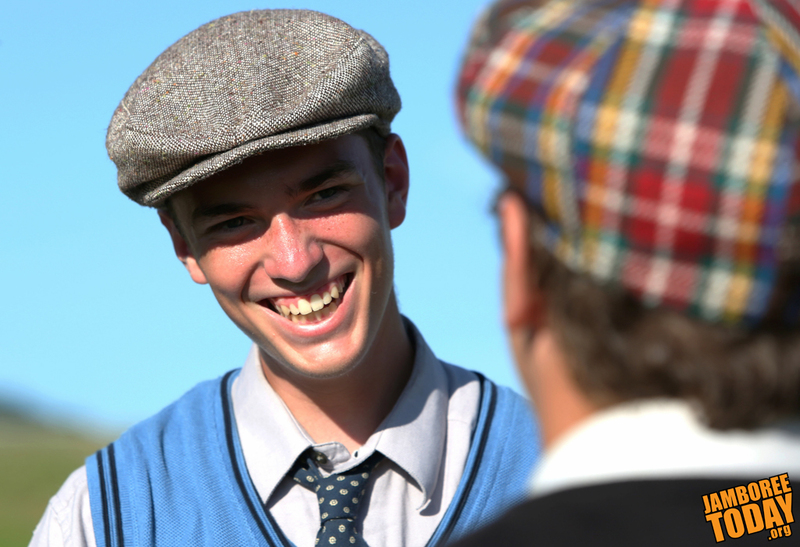 Leading all of these games will be actors portraying Baden-Powell's right hand man Major McLauren, the first boys from the Boy's Brigade, and Baden-Powell himself. All of the characters perform an authentic British flag-raising ceremony and sing “God Save the King” each morning. Additional actors play the roles of other people from Brownsea in 1907, wearing accurate regalia and clothing from the 1900s. Visitors to Brownsea Island may speak with "Lord Baden Powell" and immerse themselves in the history of Scouting firsthand. "Enjoy the history of Scouting with Lord Baden Powell and the first Boy Scouts," says Moss, "you don't have to go all the way to Europe to do it." In the words of the original Baden-Powell, it will be "Great Fun."